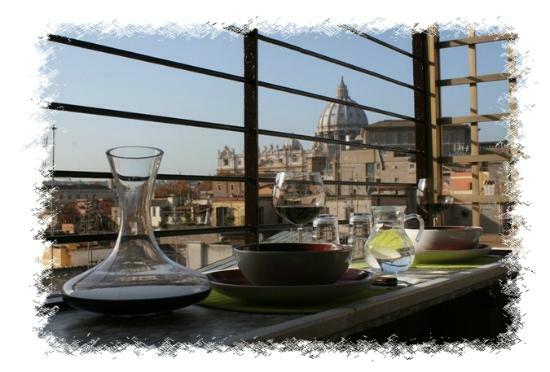 Right in the heart of ancient Rome, at Borgo Pio entrance – a small pedestrian area between St. Peter’s Square and Castel Sant Angelo, is located the charming Angel’s Gate Penthouse, with its panoramic terrace overlooking the Dome of St. Peter. 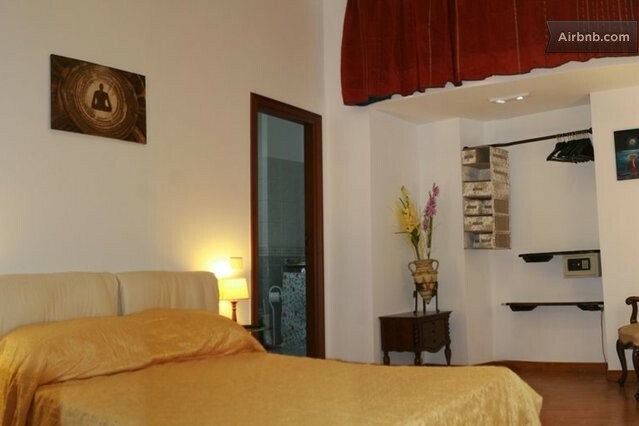 ​​Angel’s Gate Penthouse is fully equipped for a family. 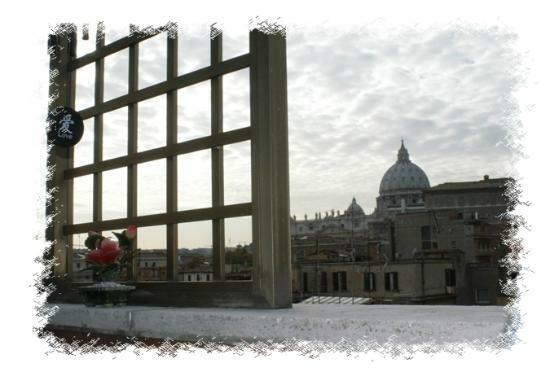 Lovely double room, with a large window overlooking the magnificent Dome of St Peter, panoramic and quiet will help you to have Angelic Dreams. 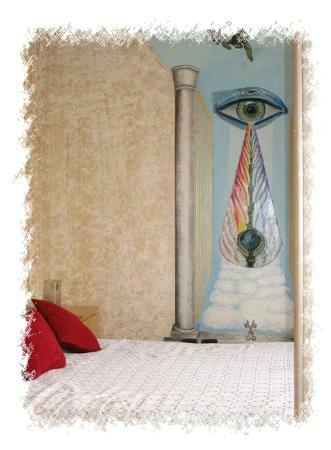 The interior painting “Angel's Gate” is realized by the owner and it is a channel leading to the loving and intangible world that surrounds us. Mallards fly in the private bath “Lakeside”. 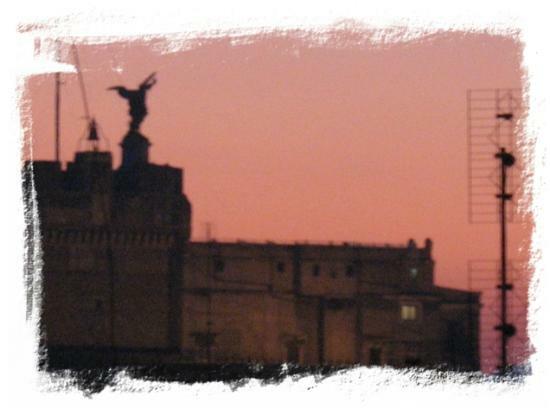 Charming single room with a fantastic view over the rooftops of Rome and Castel Sant’Angelo, gorgeous bed equipped with a large back side cushions that can be mounted as a sofa. Lion fish welcome you in the private bathroom “Deep Blue”. The terrace is a small paradise with a living and a smoking area equipped with:f our adjustable height stools, security grilles on exterior walls, a rocking sofa, ashtrays. Alessia and Giampaolo, the owners, have an international experience in the hospitality industry and will be ready to welcome you. 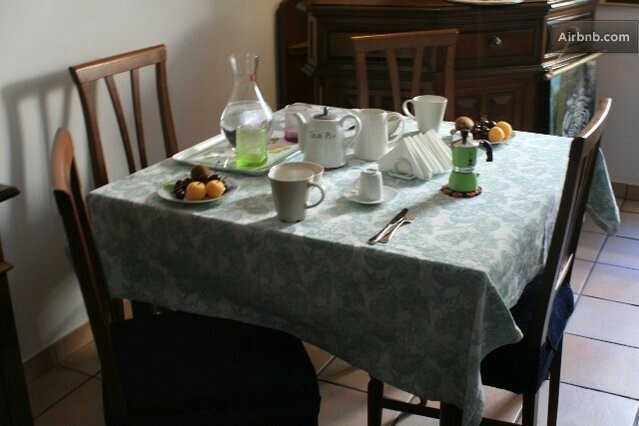 Kitchen equipped with all the comforts and door window opens onto the terrace.